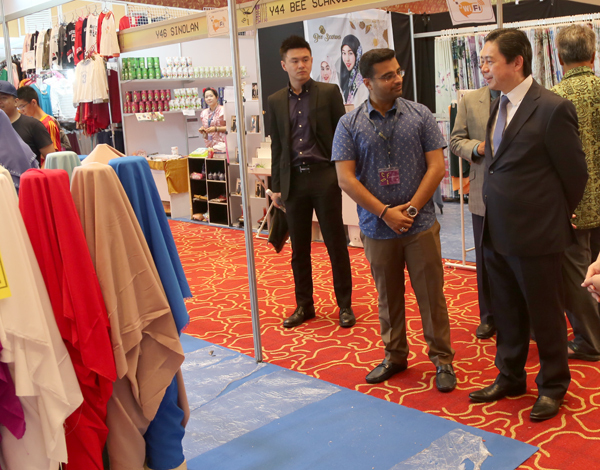 YB Dato Seri Paduka Dr. Haji Mohd Amin Liew bin Abdullah, Minister of Finance II (center) as guest of honour, Jackson Ting, Managing Director of D’Sunlit Sdn Bhd and Dato Paduka Haji Danial Haji Hanafiah, Executive Director of D’Sunlit Sdn Bhd at the launch of the 21st Consumer Fair at the International Convention Centre. 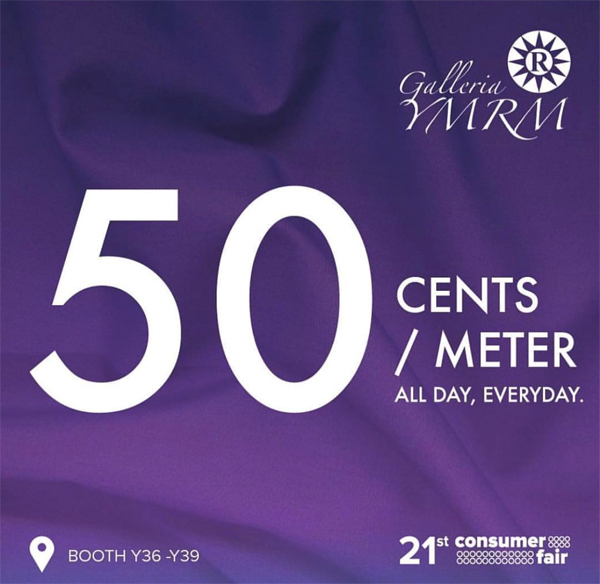 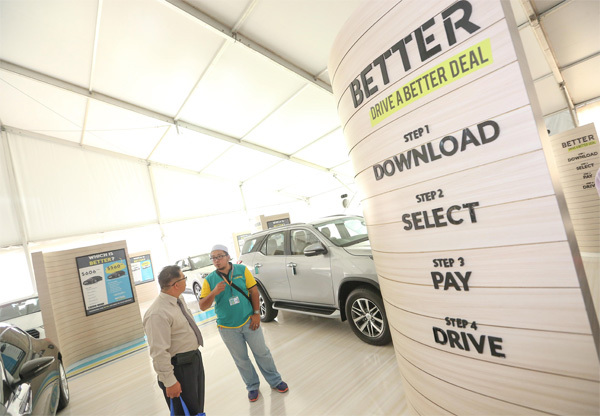 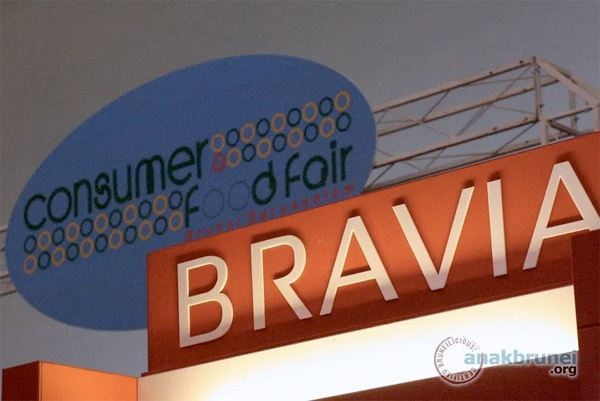 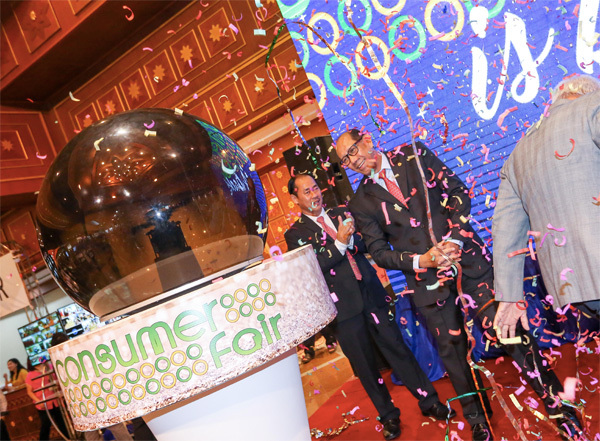 Who could have thought that the 21st edition of The Consumer Fair is finally up and running. 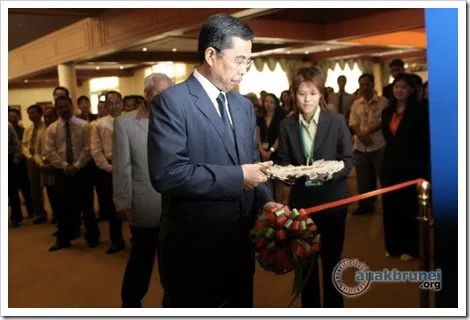 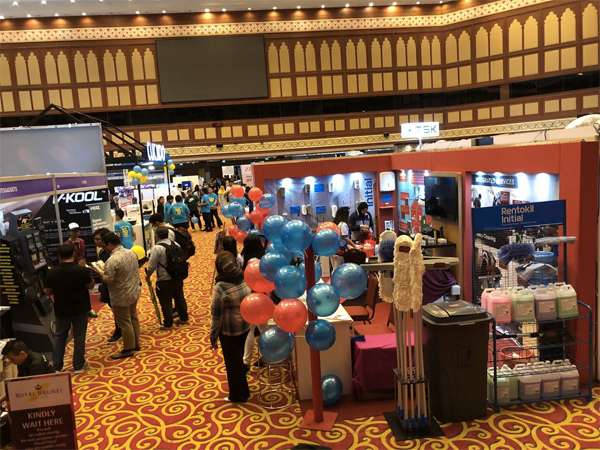 The event has already contributed loads of revenue for event venue, the International Convention Centre and also the SME vendors, be it local or overseas. 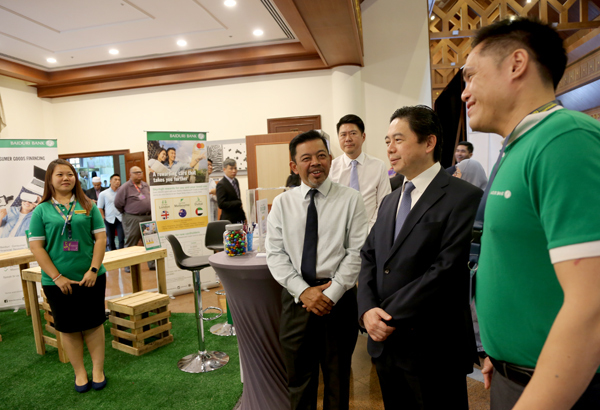 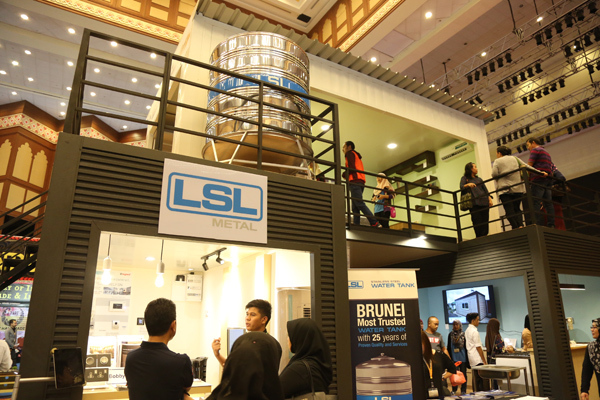 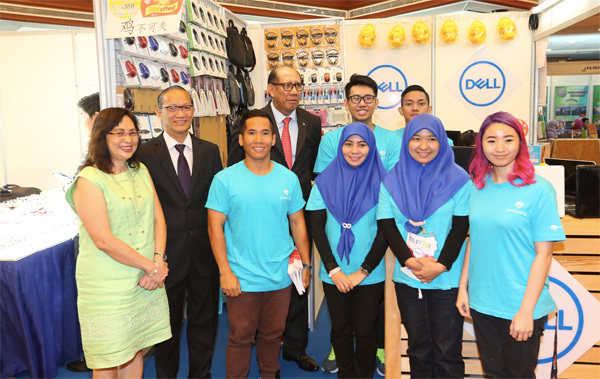 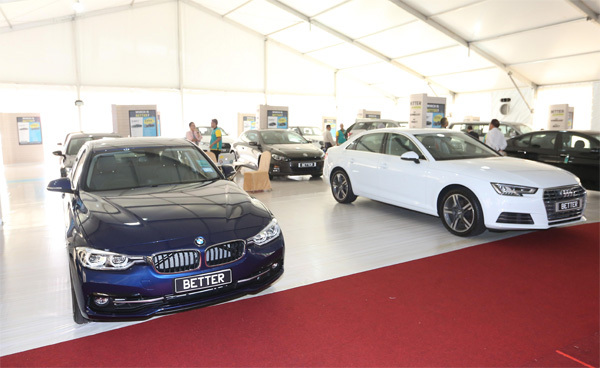 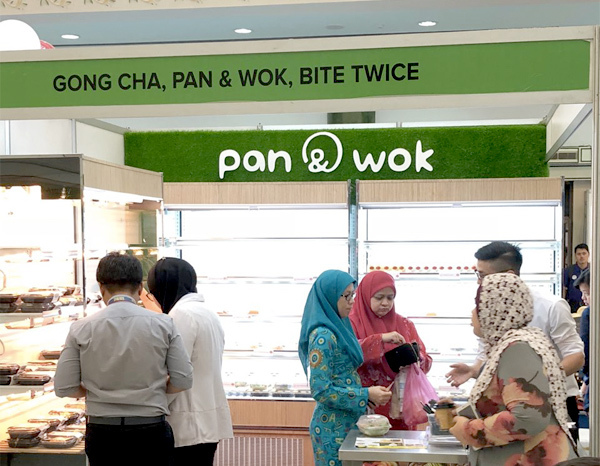 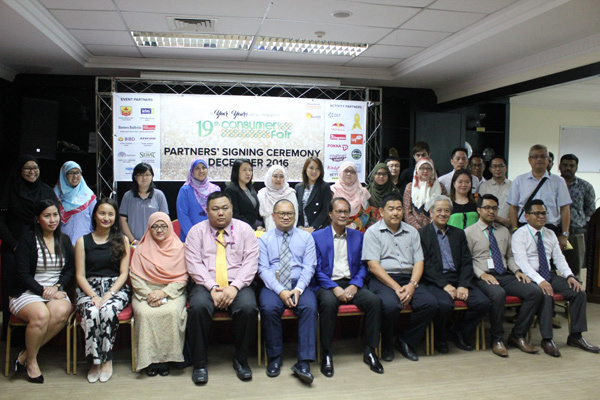 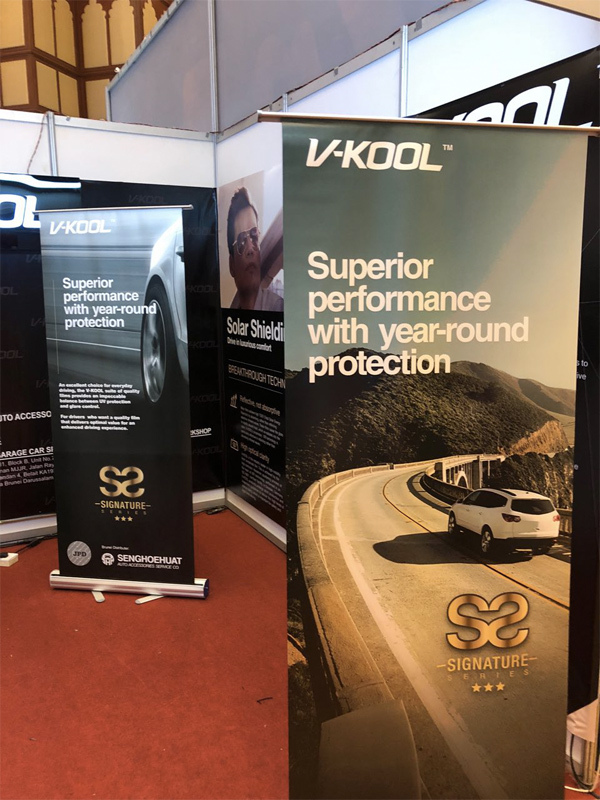 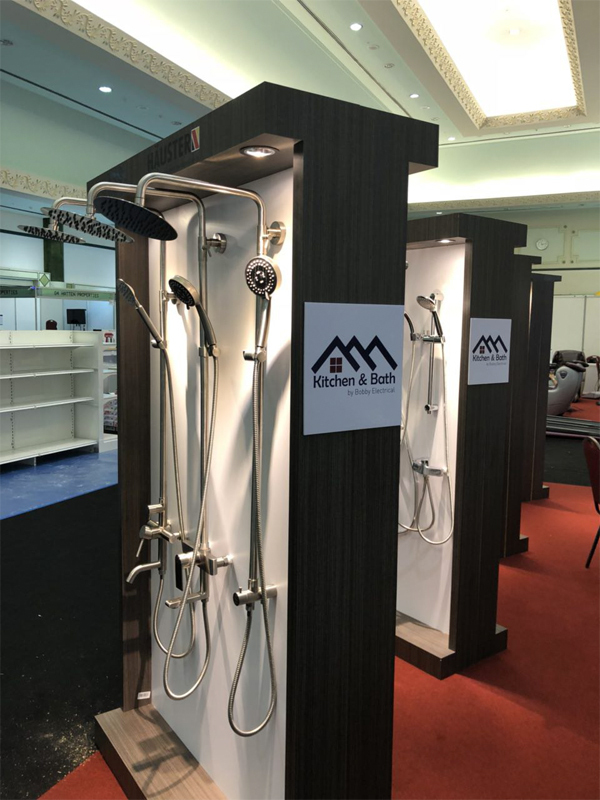 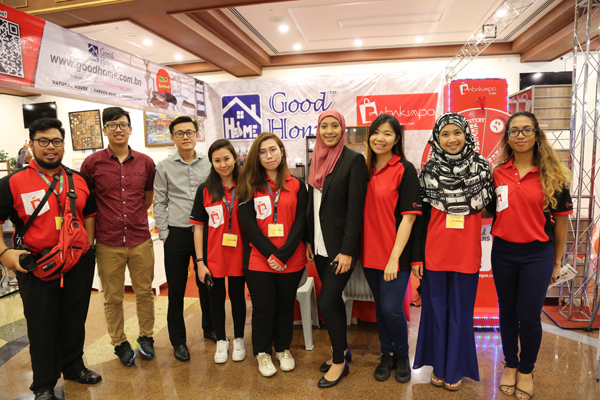 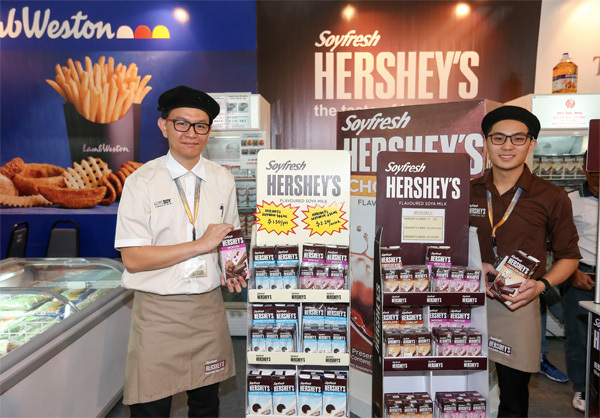 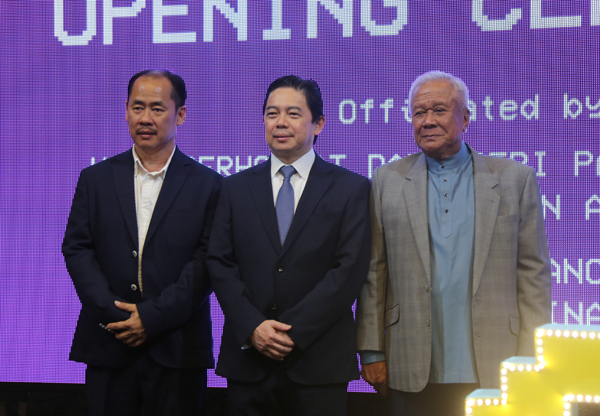 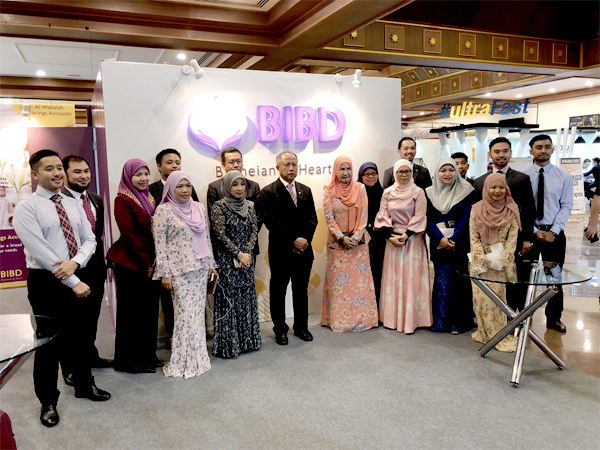 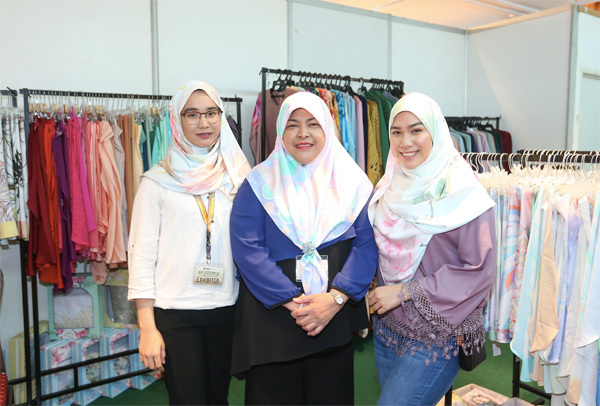 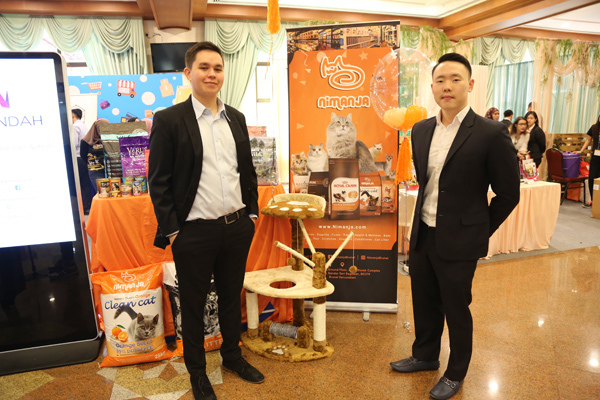 D’Sunlit Sdn Bhd, formerly known as Sunlit Advertising, has always impressed the consumers with their highly anticipated consumer fair. 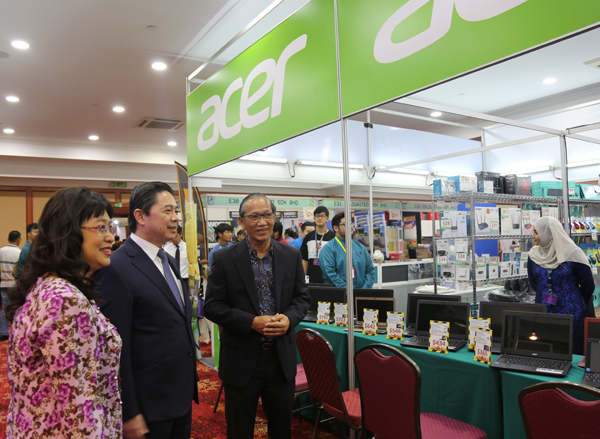 This time round the set up is slightly different as compared to previous Consumer Fair. 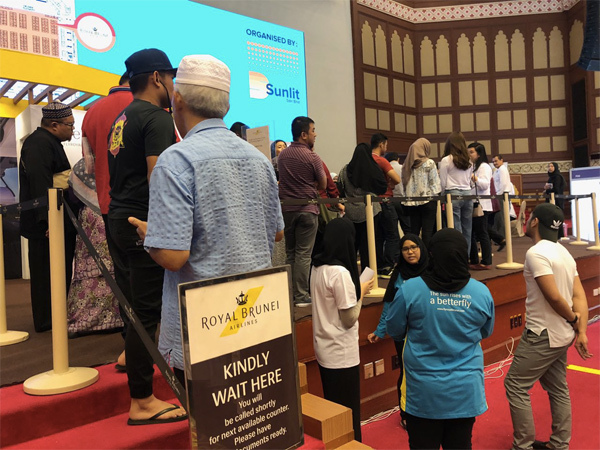 For the first time, the Plenary Hall is vacant due to its unavailability. 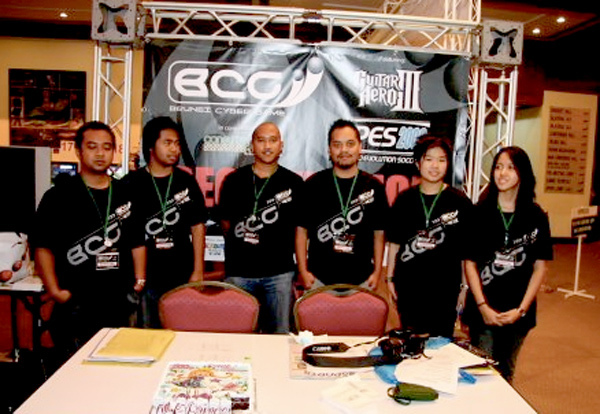 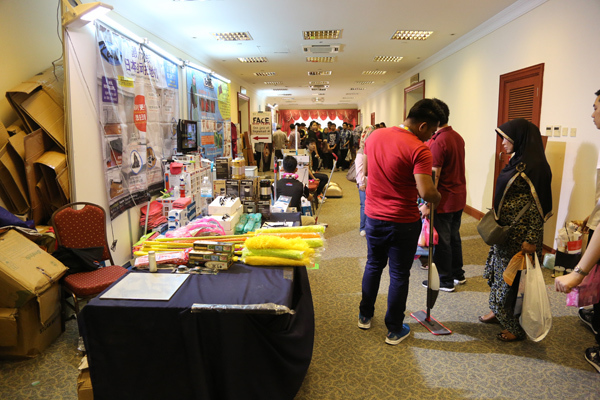 The other vendors were located to other areas and rooms within the ICC. 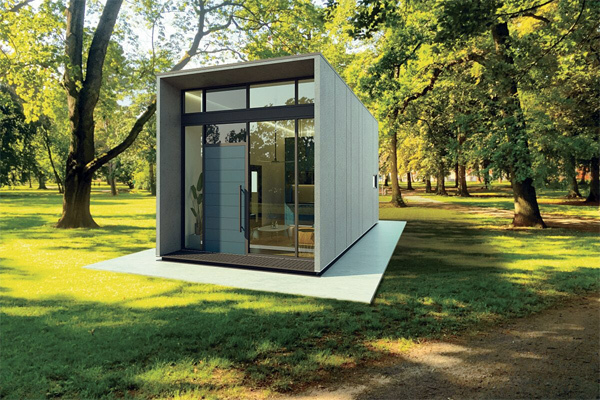 You might think it doesn’t look as big but honestly, I do prefer this format where other small rooms are being used. 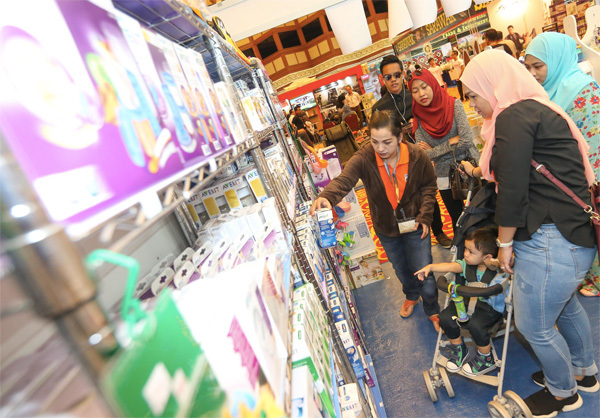 It helps to draw more traffic to those areas. 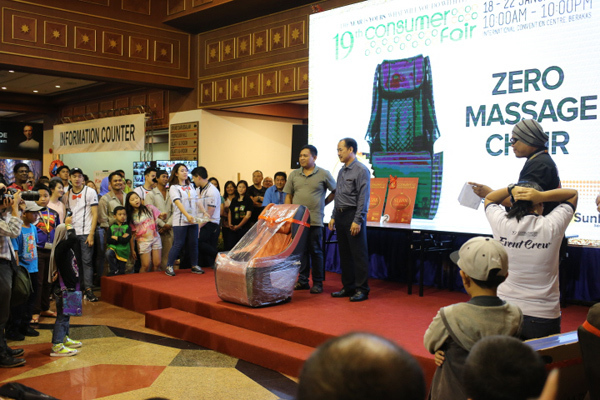 This time round, the lucky draw will be flight tickets if you purchase things at the Consumer Fair at ICC. 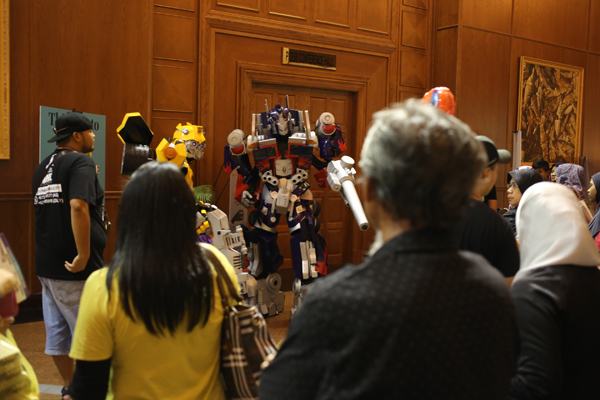 This year’s theme revolved around glitch and tech. 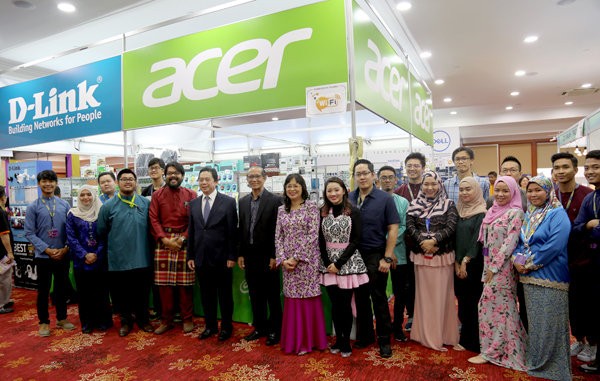 It’s a summation of the nostalgia and the current trend of technology. 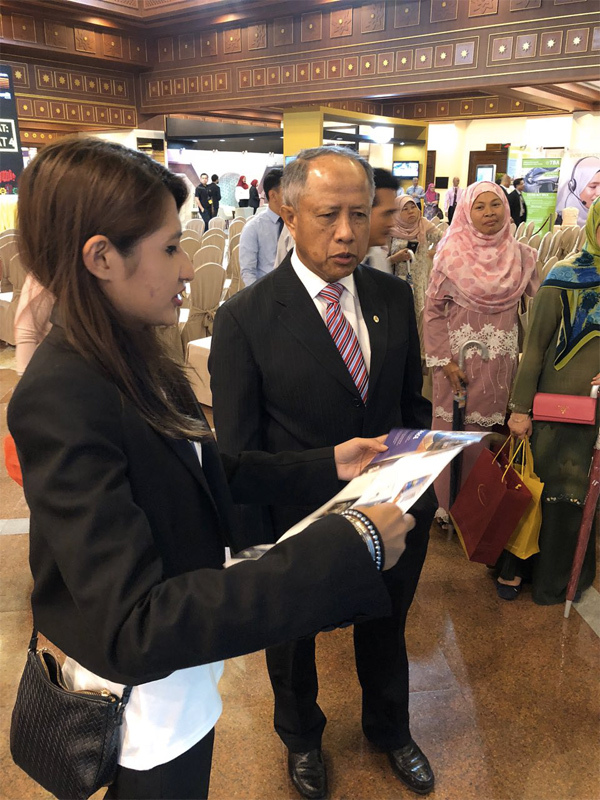 Many have asked me if there will be any travel fair. 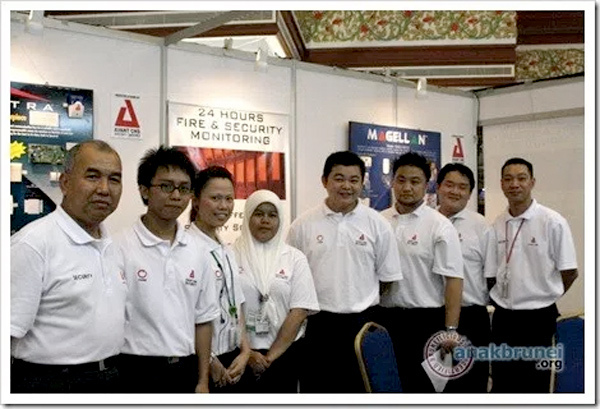 Sadly, not this time. 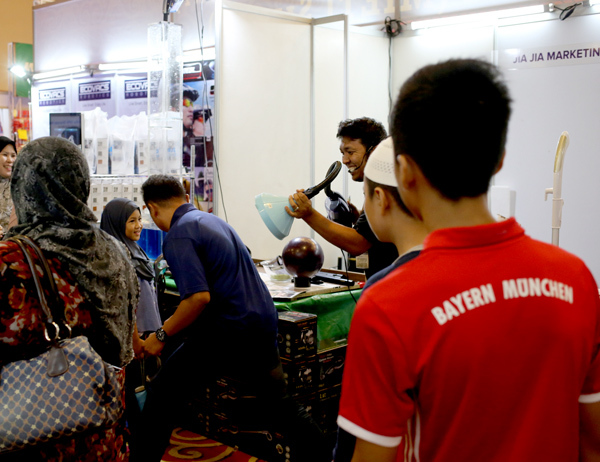 However, there are enough activities to keep you entertained. 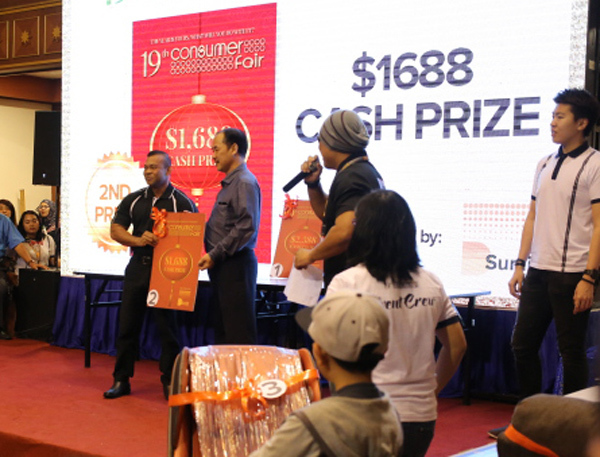 I love the Saber Game at TelBru and you stand a chance to win Oculus VR set or a PS4 with VR set for topping the scoring charts. 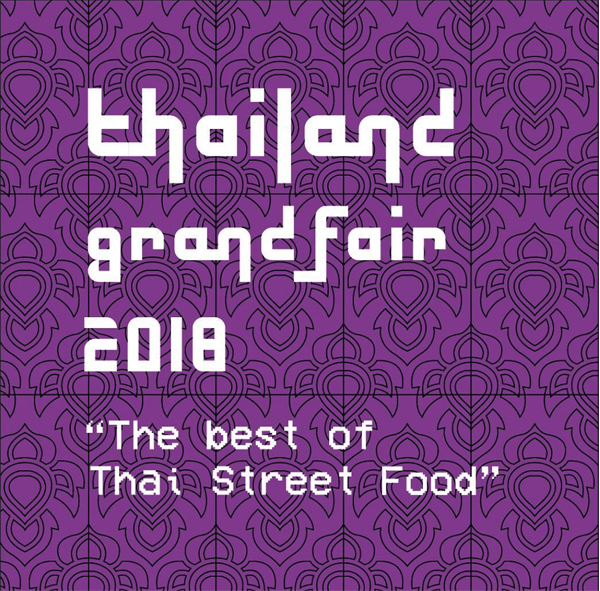 There’s the “Best of Thai Street Food with activities where the winner gets a ticket to Bangkok. 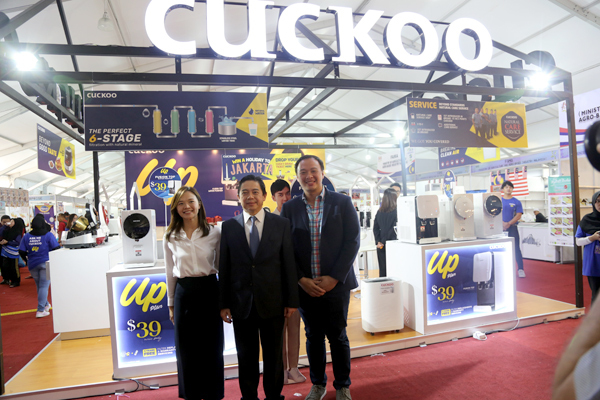 Water is free where Cuckoo provides an All Day Water Dispenser. 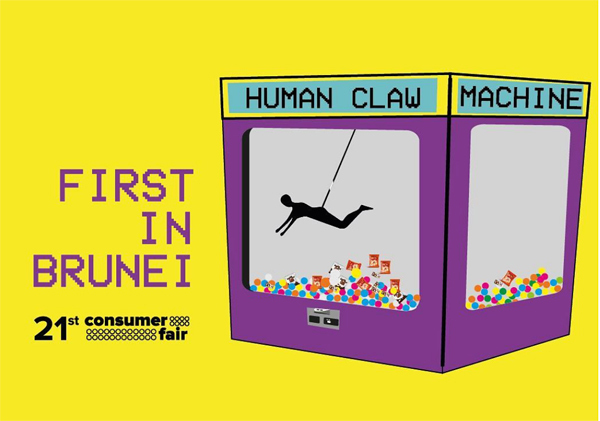 Of course, the new gimmick is the Human Claw Machine. 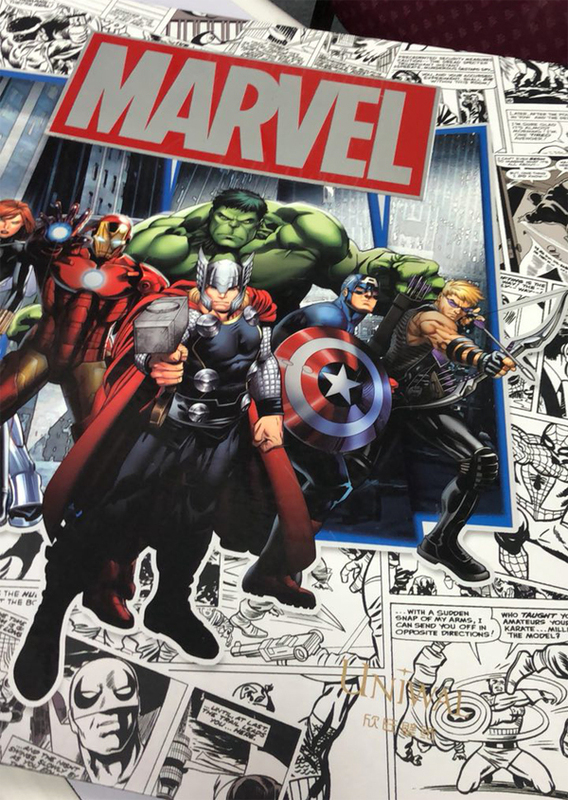 I tried it once and it’s pretty cool. 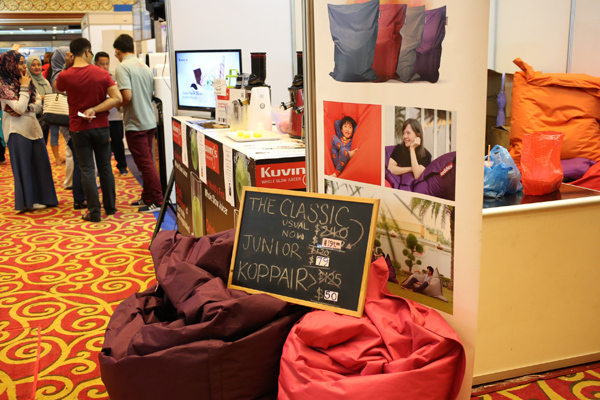 I shall update again later or just stalk me on my @ranoadidas Instagram. 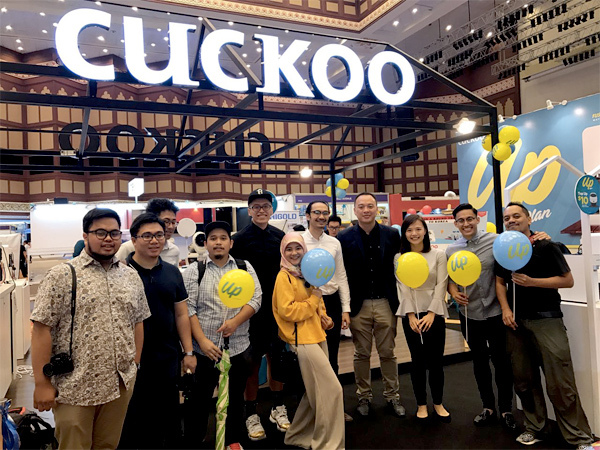 Guest of honour at Cuckoo International (Brunei) pavilion. 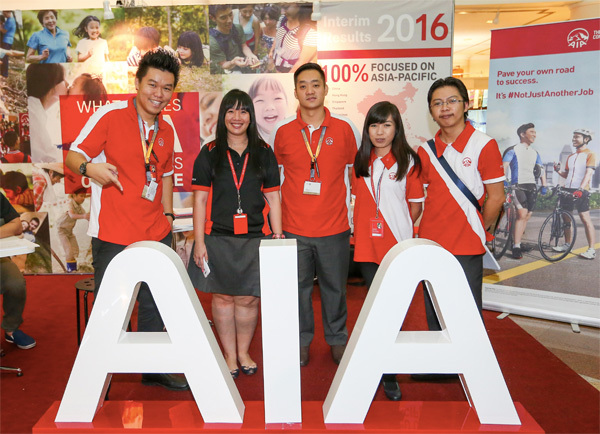 Find out how you can fly to Jakarta. 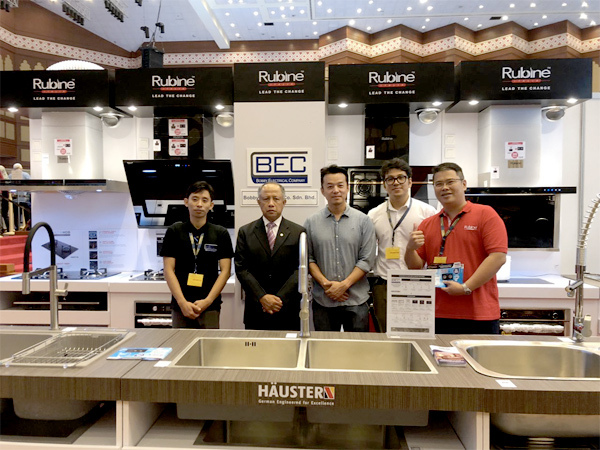 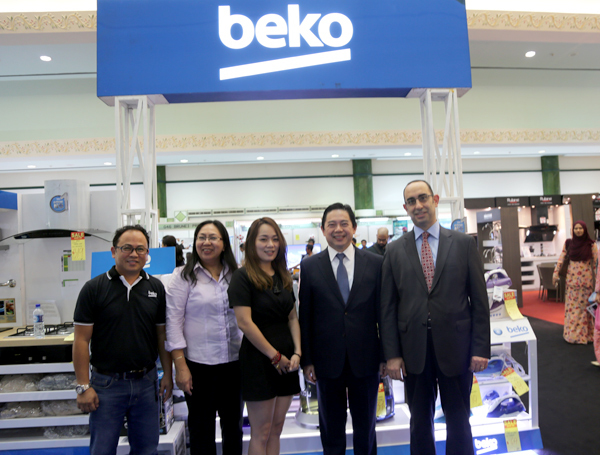 Mehmet Suat Akgun, the Ambassador of the Republic of Turkey to Brunei Darussalam, welcomed the Minister at Beko booth at the Consumer Fair. 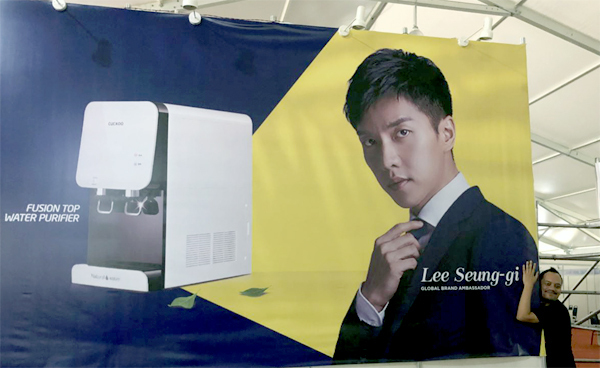 I just realised the Beko is a Turkish brand. 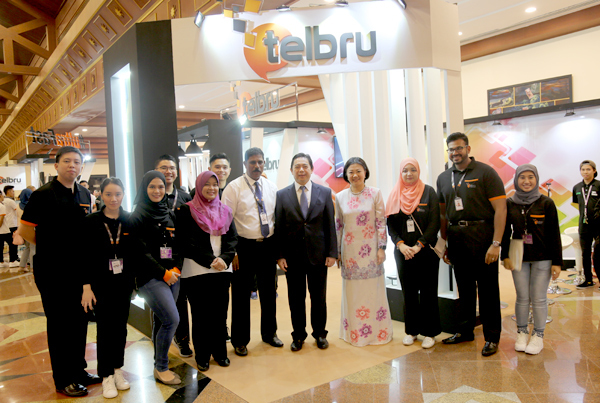 Minister at Telbru Pavilion at Consumer Fair. 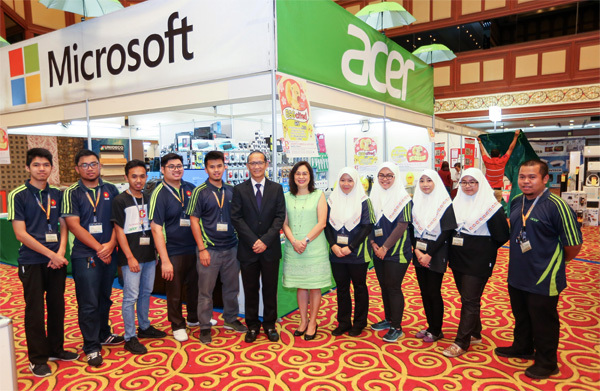 Exciting games especially when you play The Saber Game on Oculus. 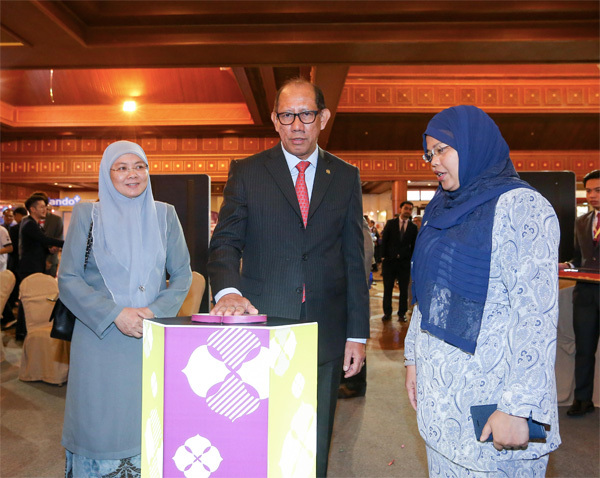 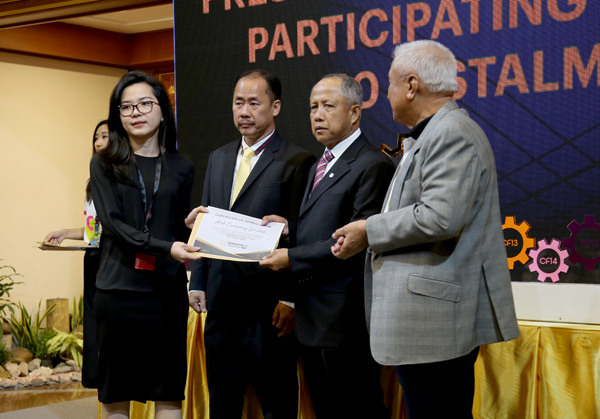 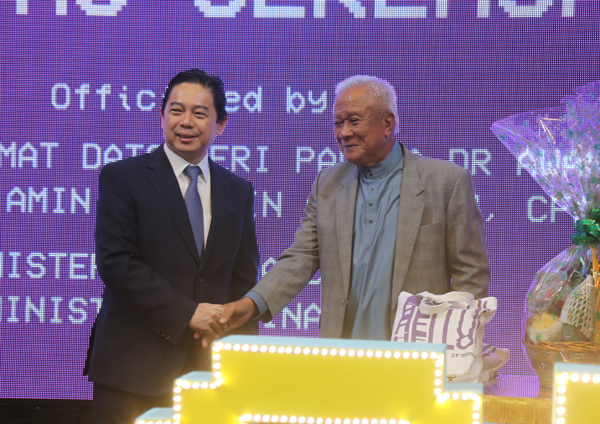 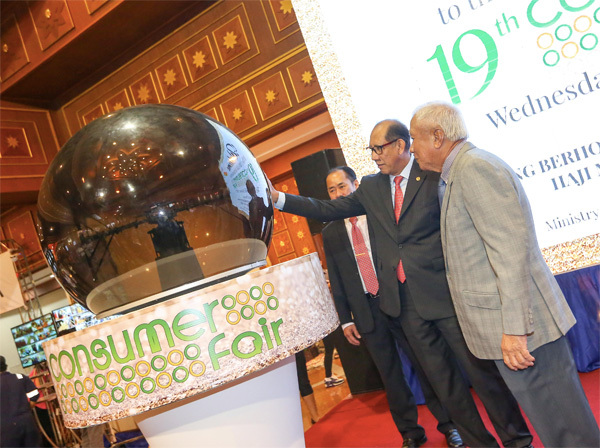 The 19th Consumer Fair (CF19) officially opened its doors to the public yesterday in a ceremony at the International Convention Centre (ICC) in Berakas, officiated by Dato Seri Setia Awang Haji Mustappa bin Haji Sirat, the Minister of Communications. 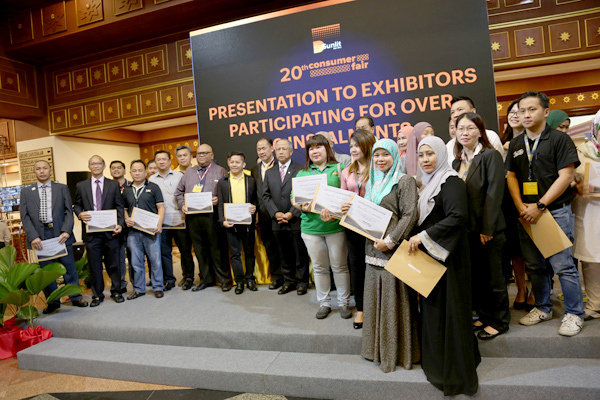 The opening ceremony was initiated with the recitation of the Surah Al-Fatihah and a Doa, followed by a welcoming speech from Dato Paduka Haji Danial bin Haji Hanafiah, the Executive Director of D’Sunlit Sdn Bhd, who said that the event is especially intended to promote products and services from small and medium enterprises (SMEs) to a broader market. 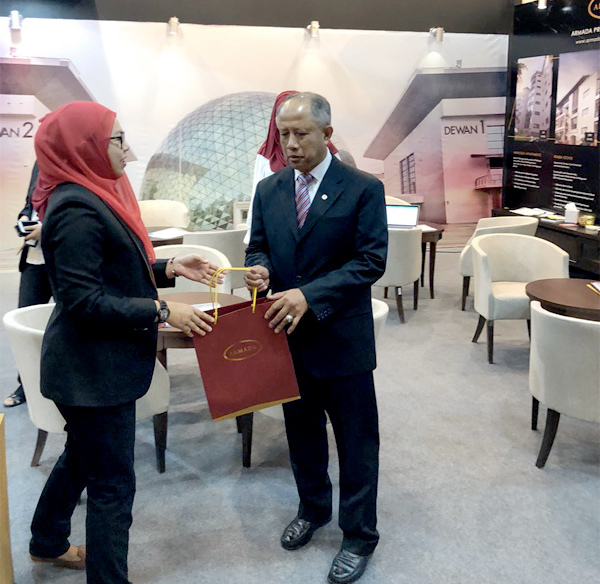 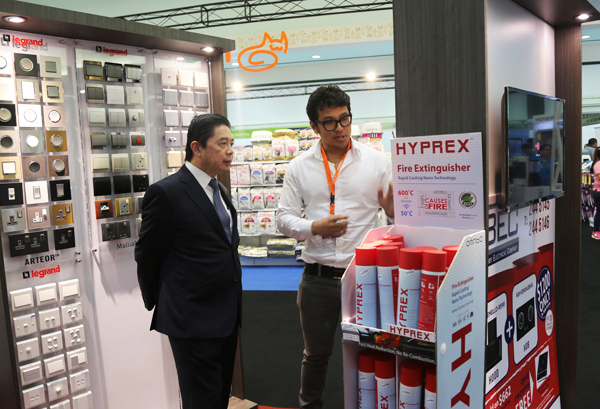 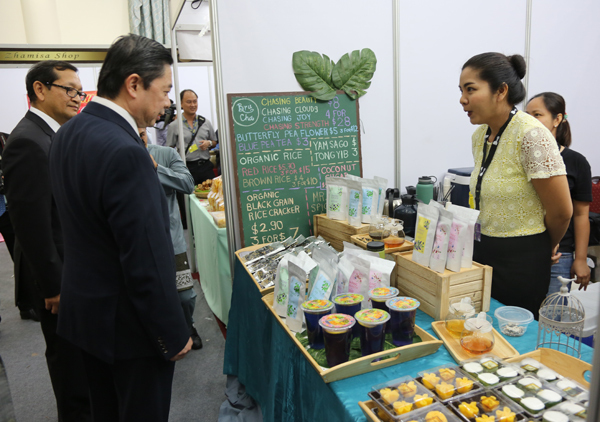 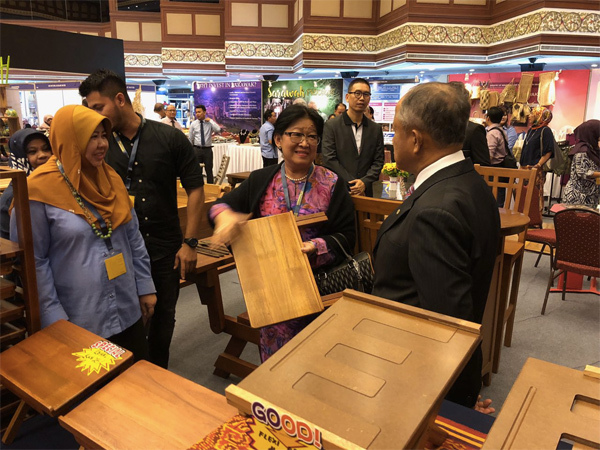 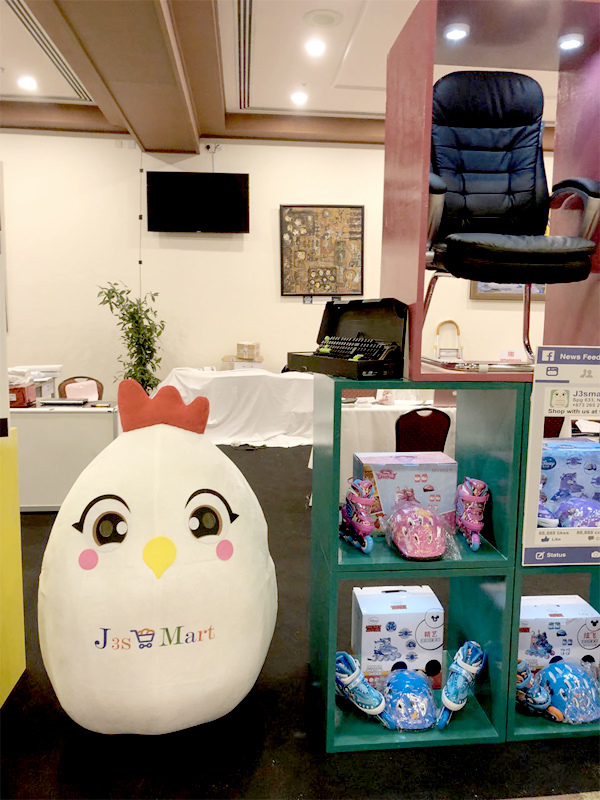 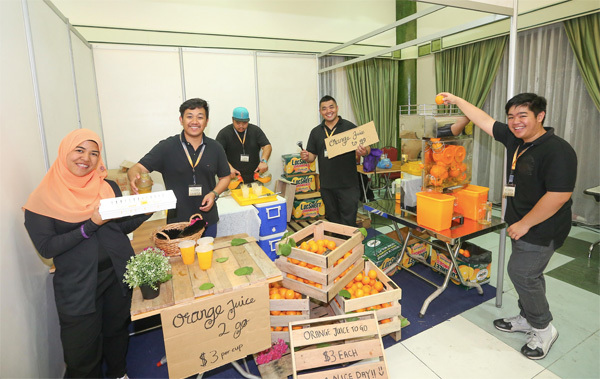 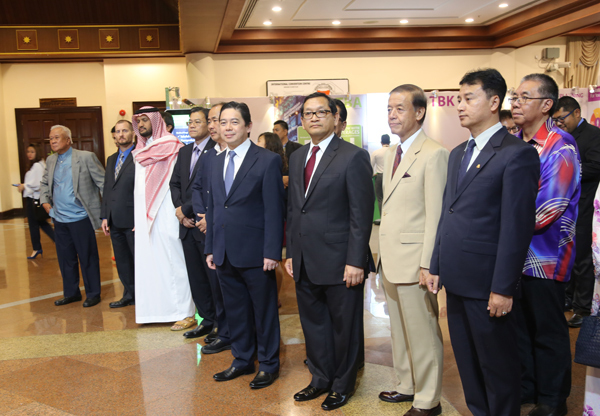 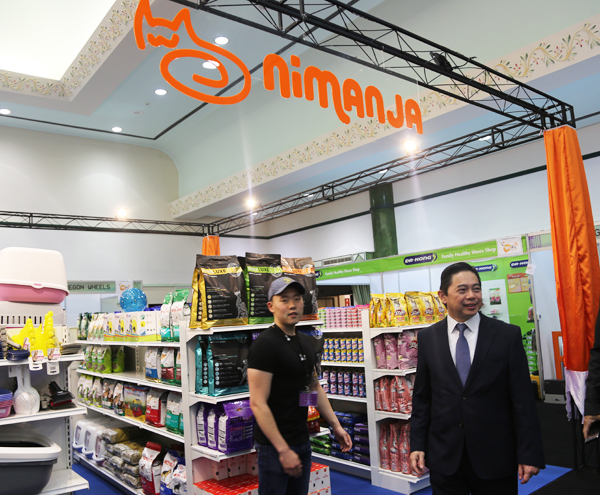 More than 400 booths have been set up at the ICC this year, with several entrepreneurs from Malaysia, Cambodia, Singapore and Pakistan participating alongside local vendors. 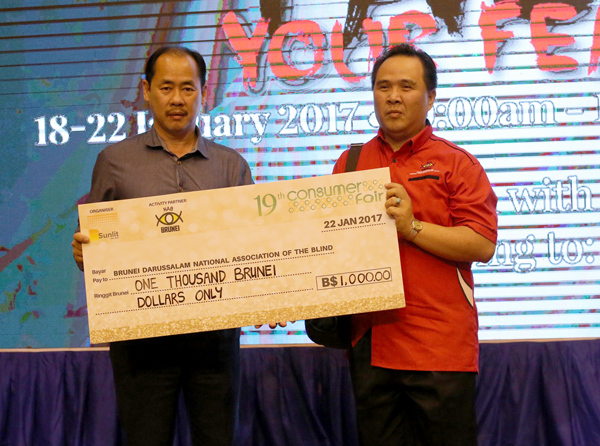 With the uplifting theme of ‘The Year Is Yours. 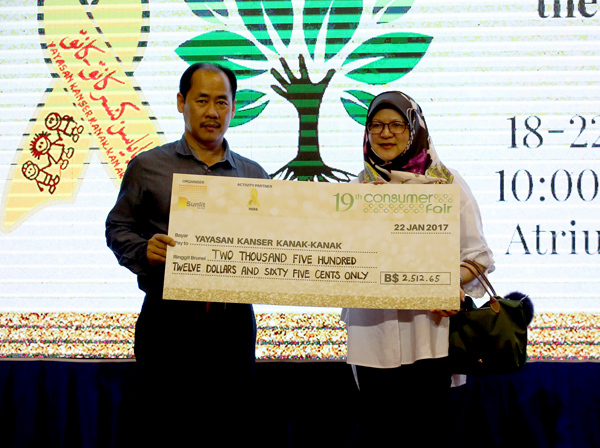 What will you do with it?’ CF19 is focused on giving back to society, and among the charities benefiting from the proceeds are the Society for the Management of Autism Related issues in Training, Education and Resources (SMARTER) Brunei, Pusat Ehsan Al-Ameerah Al-Hajjah Maryam (Pusat Ehsan), the Brunei Darussalam National Association of the Blind (BDNAB) and Children’s Cancer Foundation (YASKA). 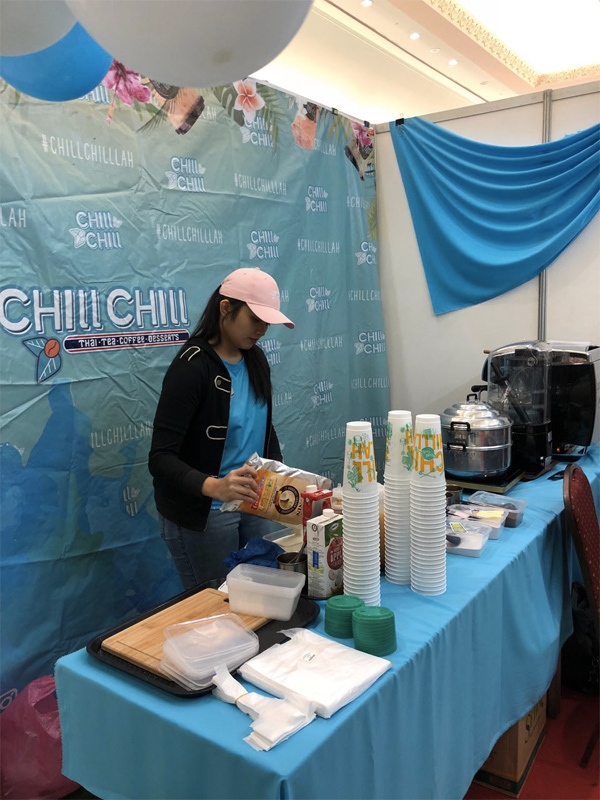 Meanwhile, a number of fun activities have been lined up for the fair, where visitors can take part in hot dog and chicken wing eating contests, an ice-cream-making contest and a cupcake-decorating demonstration. 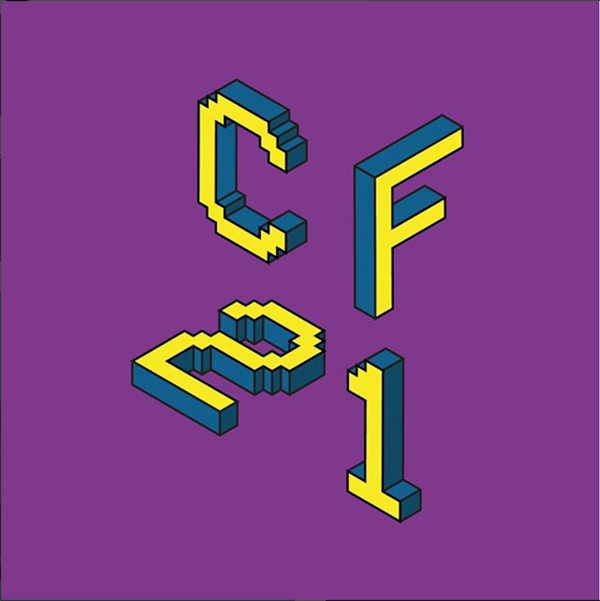 CF19 is open to visitors from 10am to 10pm till Sunday, while on Friday it will be closed from 12pm to 2pm, for Friday prayer. 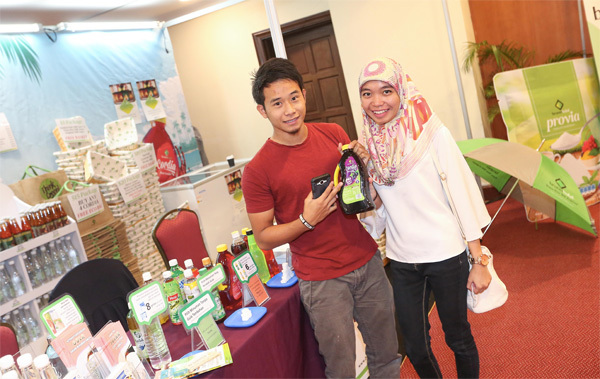 Text courtesy of Lyna Mohd of Borneo Bulletin. 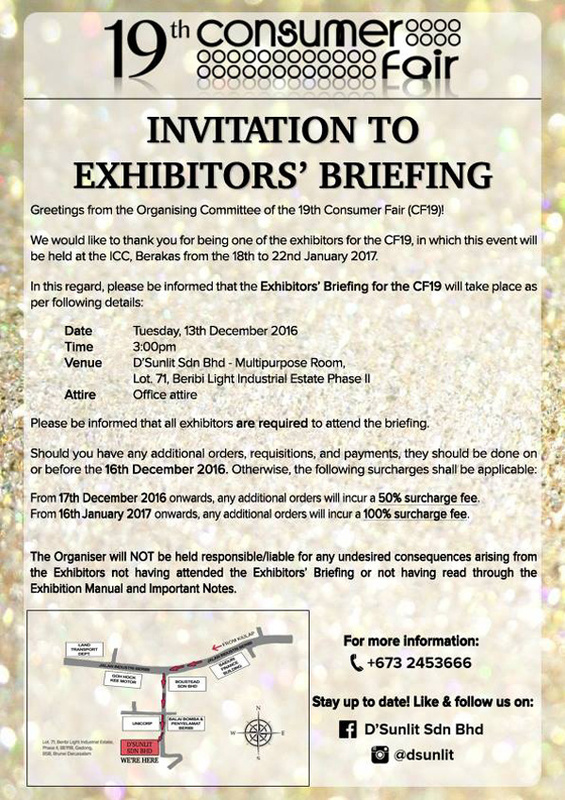 Press release from D’ Sunlit. 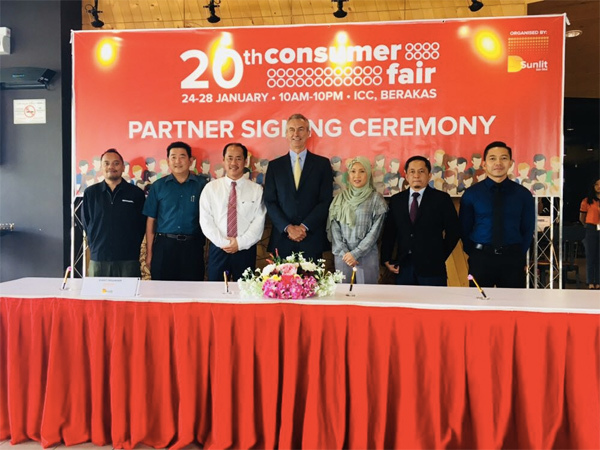 On the 22nd of January 2017 at the International Convention Center (ICC), Berakas has conducted its Partners’ Signing Ceremony yesterday at D’Sunlit premises. 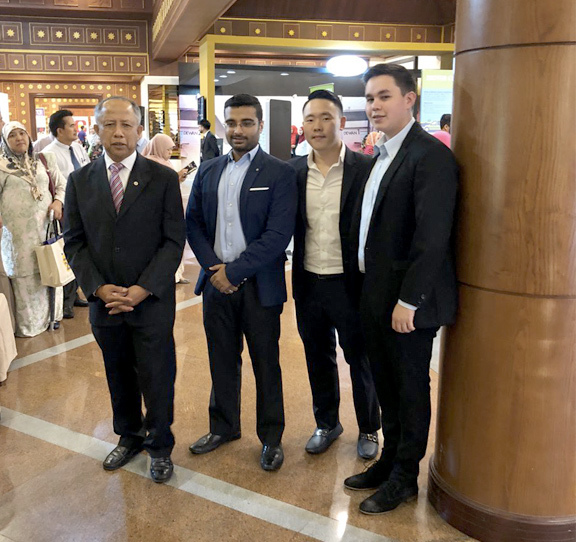 Pg Salleh Ab Rahman Pg Hj Damit, the Advisor of D’Sunlit Sdn Bhd and Ngu Tiing Siang, Operations Manager of D’Sunlit Sdn Bhd were present as the signees representing D’Sunlit Sdn Bhd. 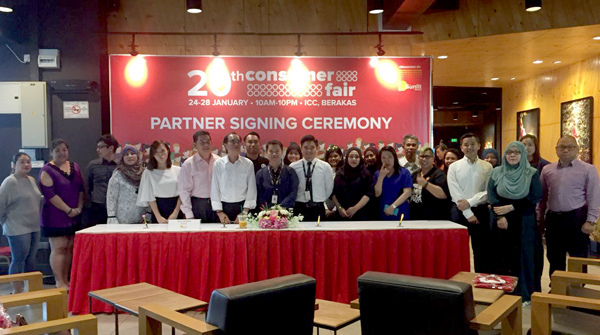 Numerous Event and Activity partners were also in attendance to work hand in hand with the organiser of the 19th Consumer Fair to deliver another successful event. 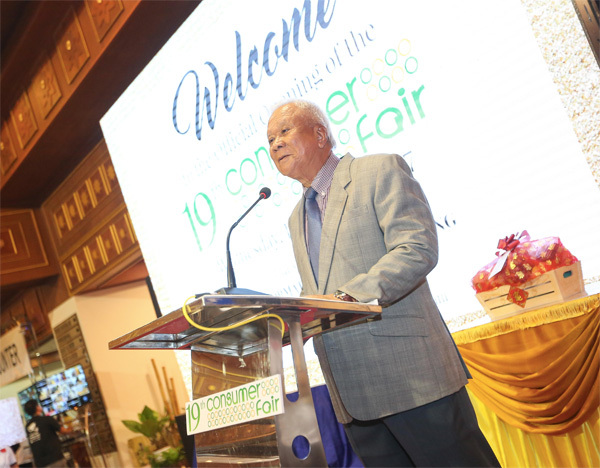 Visiting the 19th Consumer Fair is a great kick start for the first month of the year; it is a time for all to shop in over 400 booths and prep for the arrival of the New Year. 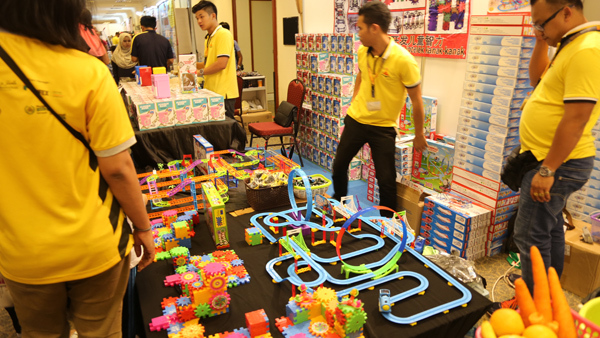 All kinds of products and activities can be found within the halls to keep you occupied for hours. 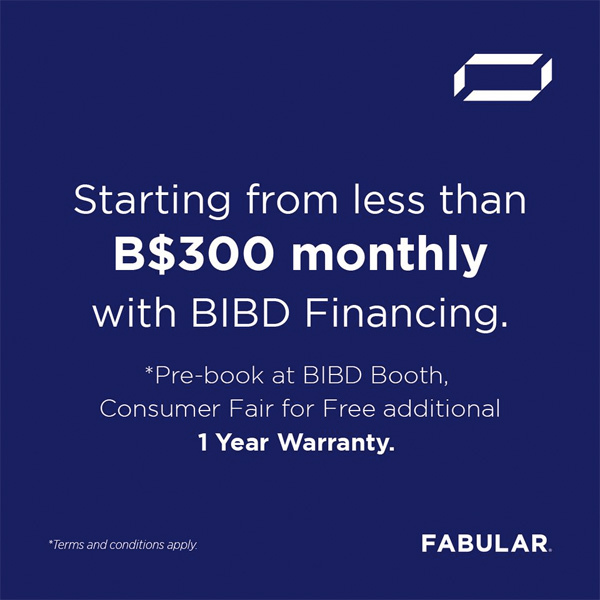 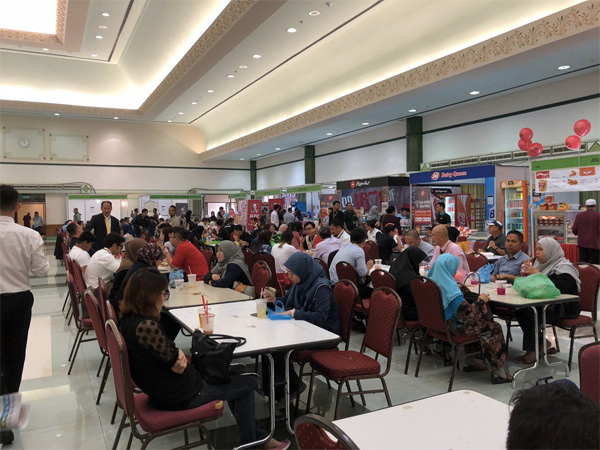 Watch out for several new comers in the fair such as Pets Arena, TechBru Solution (B) Sdn Bhd, Kaslinda, Taiwanese Bridal Co, First Brew, Meriwell, and many more. 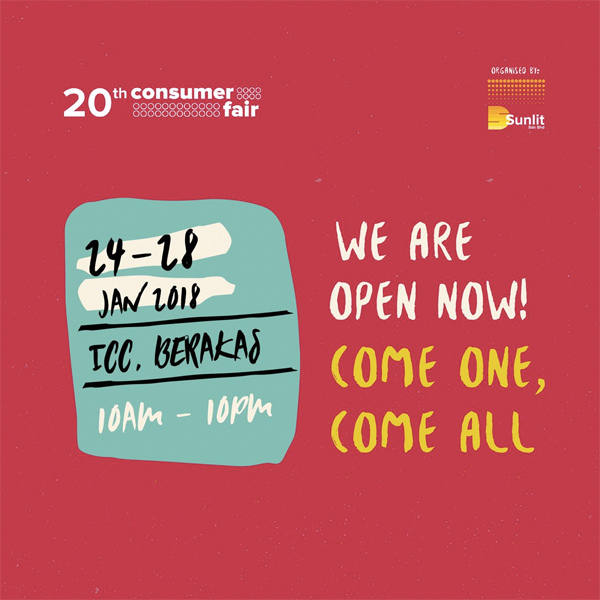 The 19th Consumer Fair carries the theme “The Year is Yours”, 19 New Year resolutions will be featured in our bi-annual In-Fair Magazine now at its fourth edition, for you to pick and choose which will be your top new year resolutions to achieve for the upcoming year. 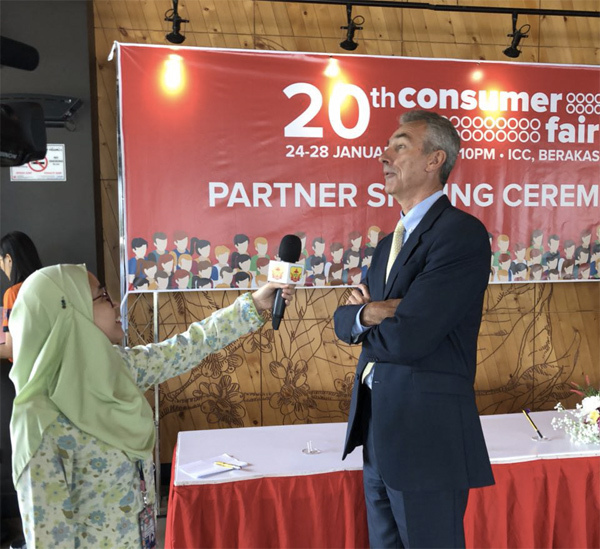 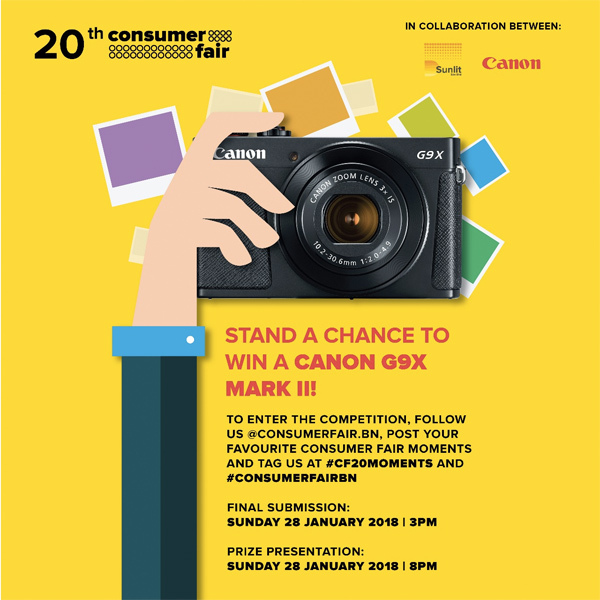 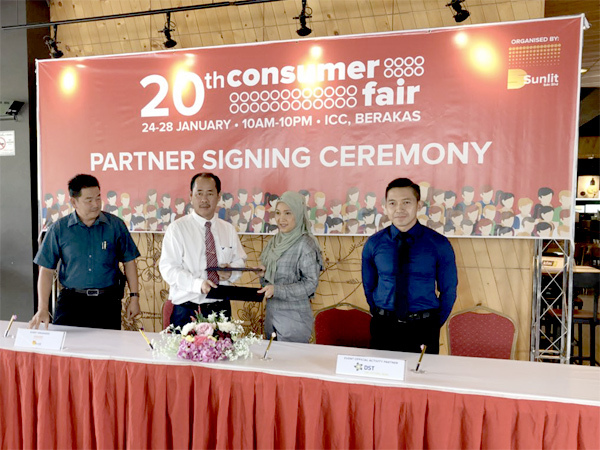 Consumers will get to challenge one of the New Year resolutions which is “Face Your Fear” in the fair, stay tuned to the soon to be showcased activity from the organiser of the 19th Consumer Fair. 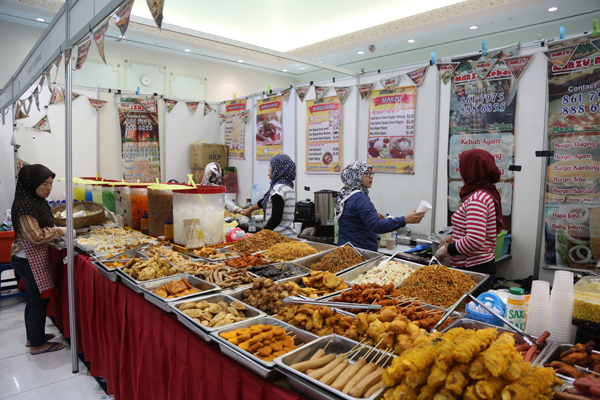 Other than that, the fair is loaded with activities from exhibitors and new faces of the popular fair. 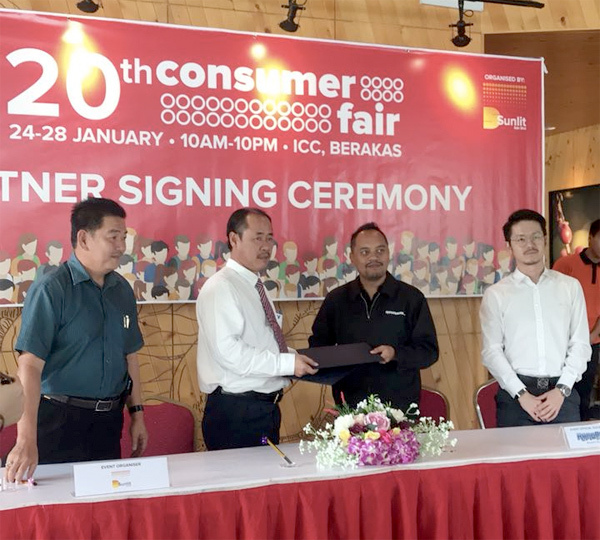 New faces such as WayBack Burger will be conducting, a “Triple Challenge Eating Competition” and “Can You Take the Hotness?” from Pelicana Chicken. 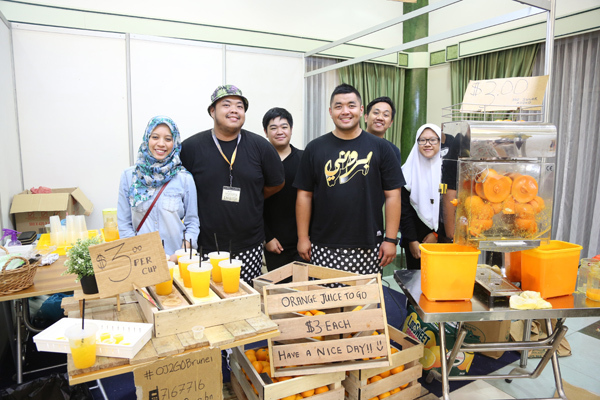 Other than that, Lof Bakery will be having “Cupcakes Decorations” for cupcake lovers and those who love to bake. 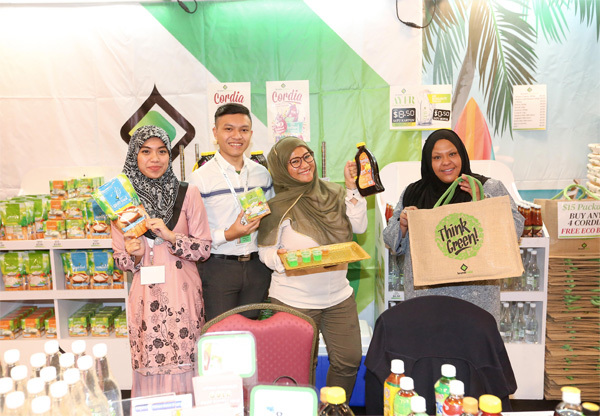 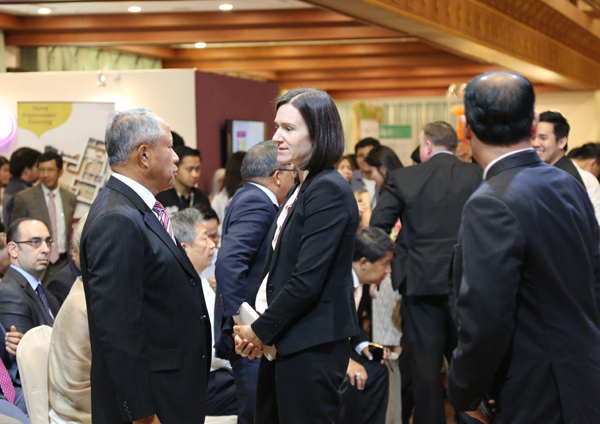 Many more activities from POKKA (Cataleya Trading Company), Better Brunei, YASKA, DST Group, Kingston Beverage and Creamery Sdn Bhd, Red Bull, Syarikat Teeyam Majeed, KindyKare International are to be seen in the fair. 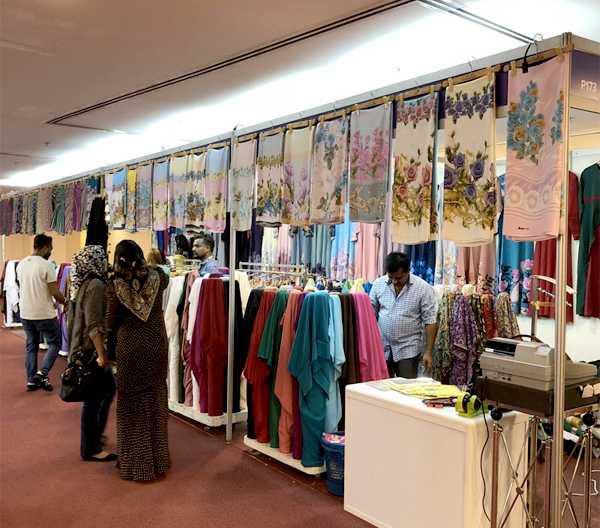 The 19th Consumer Fair is organised by D’Sunlit Sdn Bhd and is open for public from 10am to 10pm daily except for Friday when it closes temporarily from 12pm to 2pm for Friday prayers. 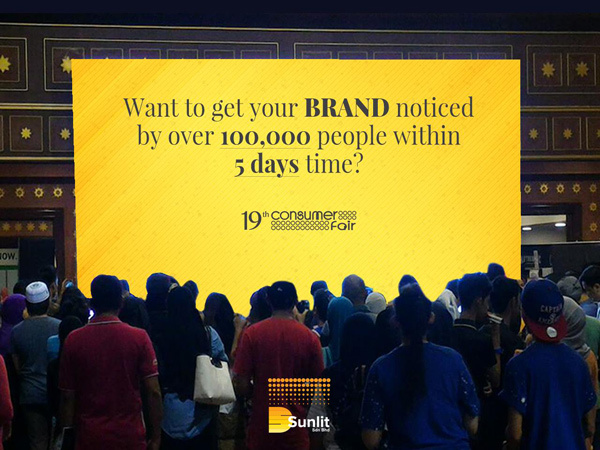 For more information and updates, follow D’Sunlit on social media, Facebook page D’sunlit Sdn Bhd and @dsunlit on Instagram or reach the D’Sunlit Marketing Department at 2453666. 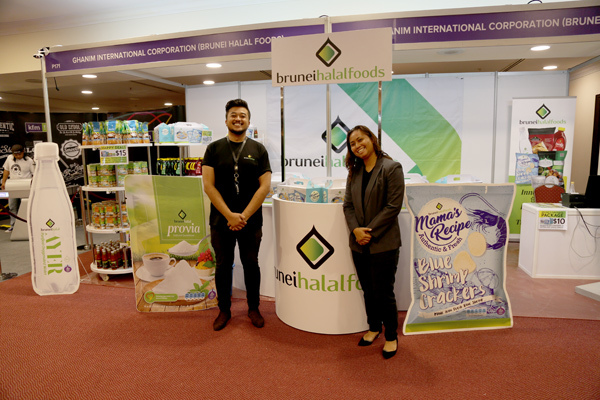 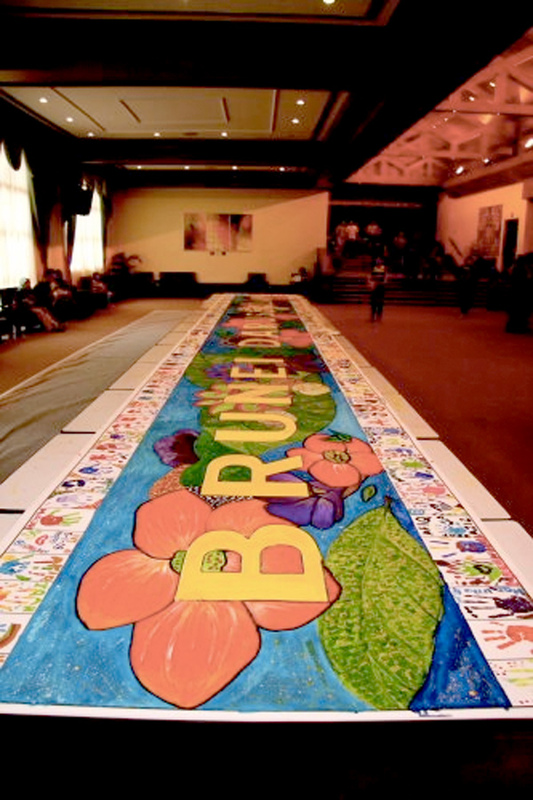 Please also visit www.bruneiconsumerfair.com for more updates. 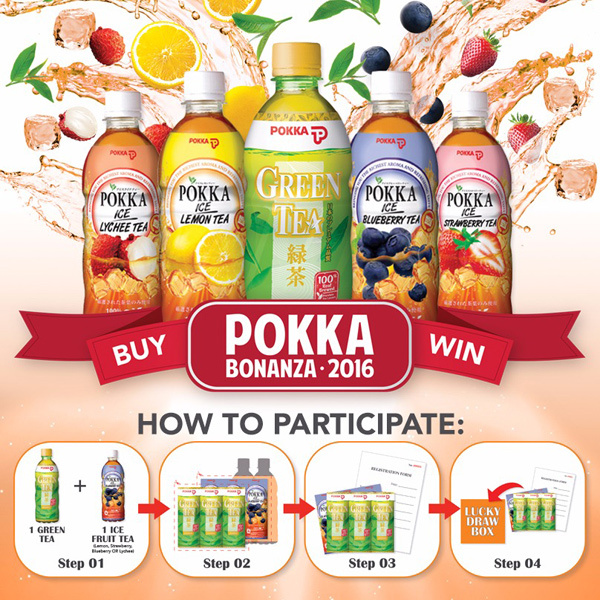 POKKA the leading food and beverage group that manufactures and markets a wide range of beverages under the reputed brand name ‘POKKA’ has launched “POKKA Bonanza Lucky Draw” on 1st December 2016 until 14 January 2017 by Cataleya Trading Company, the Distributor in Brunei Darussalam. 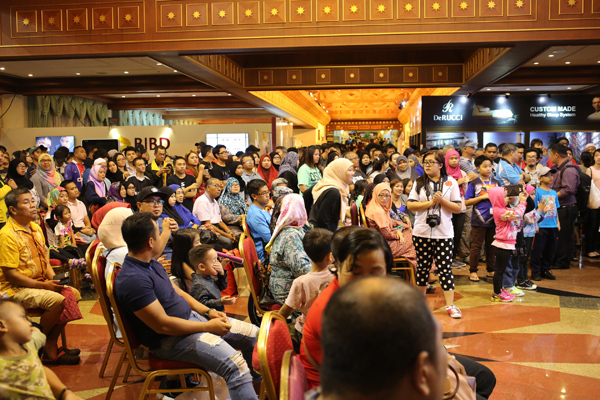 POKKA Bonanza Lucky Draw can be seen in any superstores where POKKA drinks are present and it is open to all of the public to join the fun. 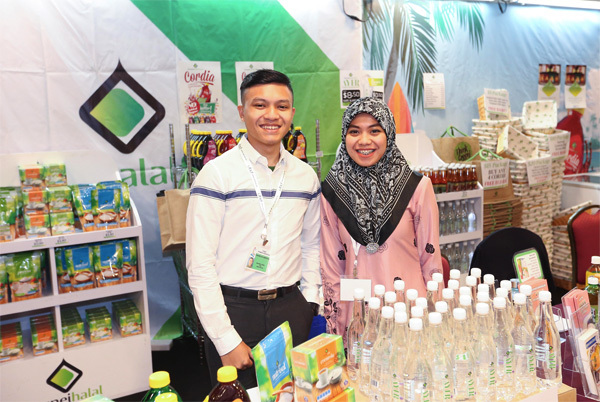 Simply purchase 1 bottle (0.5L or 1.5L) of Pokka Green Tea with a choice of any Pokka Ice Fruit Tea (0.5L or 1.5L) at grocery stores, remove both bottle labels and fill in the registration form. 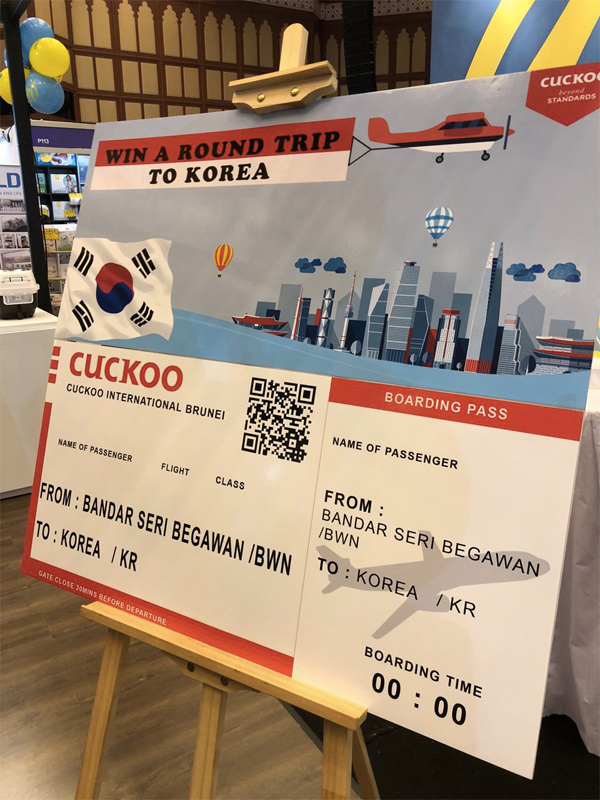 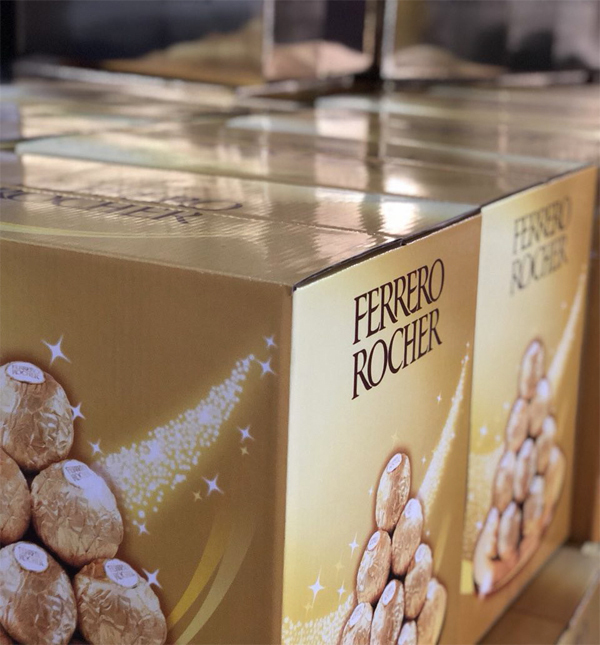 Watch out for Lucky Draw box around the promotion and drop the labels together with the registration form in and anticipate for the weekly draw. 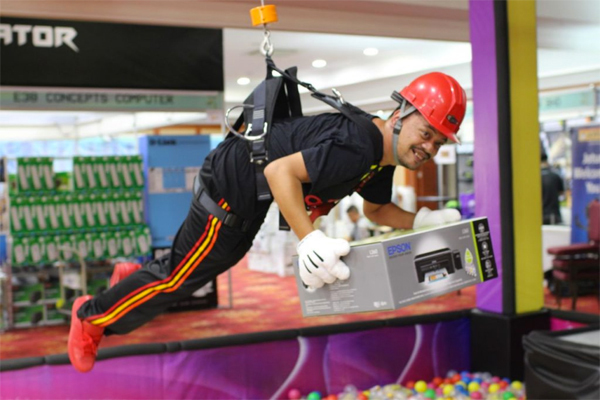 Go Hero 5 will be the prize for four of POKKA Bonanza’s weekly draw. 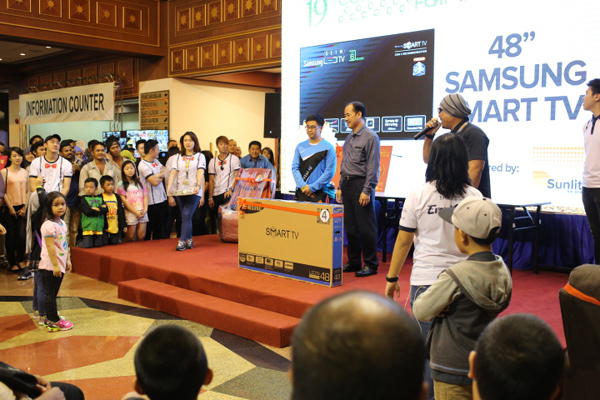 First prize being iMAC 27” WITH RETINA 5K DISPLAY – MK462ZP, second prize as iPHONE 7PLUS 128GB & APPLE WATCH A1802 SERIES 1, SAMSUNG 43” UHD SMART TV WITH WALL BRACKET for third prize and many more to celebrate the soon to come New Year. 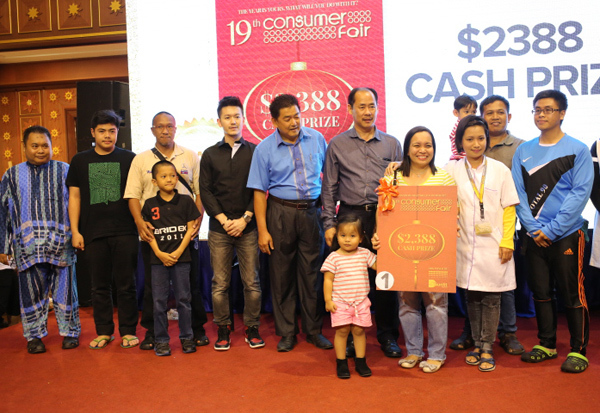 POKKA Bonanza Lucky Draw appears around superstores in Brunei, it will be conducting its first draw on 17th December 2016 and the Grand Draw to be in the 19th Consumer Fair.